Check out this site. They have everything you need for shopping on Black Friday. I’m impressed and I don’t ever shop on Black Friday. 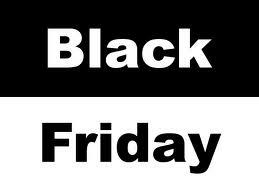 Black Friday Flyer Download Page: This is a central place for all the Black Friday Flyers in PDF format. Black Friday Search Tool: Search for any Black Friday deals by simply typing the keyword, price range, store name, or choosing from a category. Get creative on what you want to find! You can even get a list of “Free Stuff” if you specify price range to be free! Black Friday Buying Guides: We cover buying guides on 30 + categories includings HDTV, cameras, laptops, DVD players, vacuum cleaners, and many more. For example, the TV Buying Guide would list the comparison on screen size, model, resolution, price. Now you don’t have to do your own research! Online Black Friday Deals: Be sure to watch this page for the latest news about black friday deals! A lot of online deals will be coming out towards the end of the week!